Ramadhan's around the corner! What have we done to prepare for its arrival? As we all know, there are many of Allah's (SWT) blessings and rewards that you should not miss in the blessed month. However, between working a full-time job and putting food on the table for our family, how does one attain these rewards throughout Ramadhan? And how can we reap the rewards of the last 10 nights despite not being able to fast and pray? 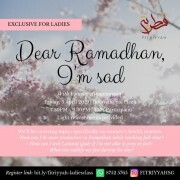 ➡ How can I reap the rewards of Ramadhan if I have period half of the month? ➡ Is it possible not to fast if I'm pregnant? ➡ How can I seek the merit of Lailatul Qadr if I have period during the last 10 days? ➡ What if I've forgotten the number of days I need to repay my fast in the previous years? ➡ How can I be more productive in Ramdhan while working full-time? And we'll also have a Q&A session at the end of the class InsyaAllah. 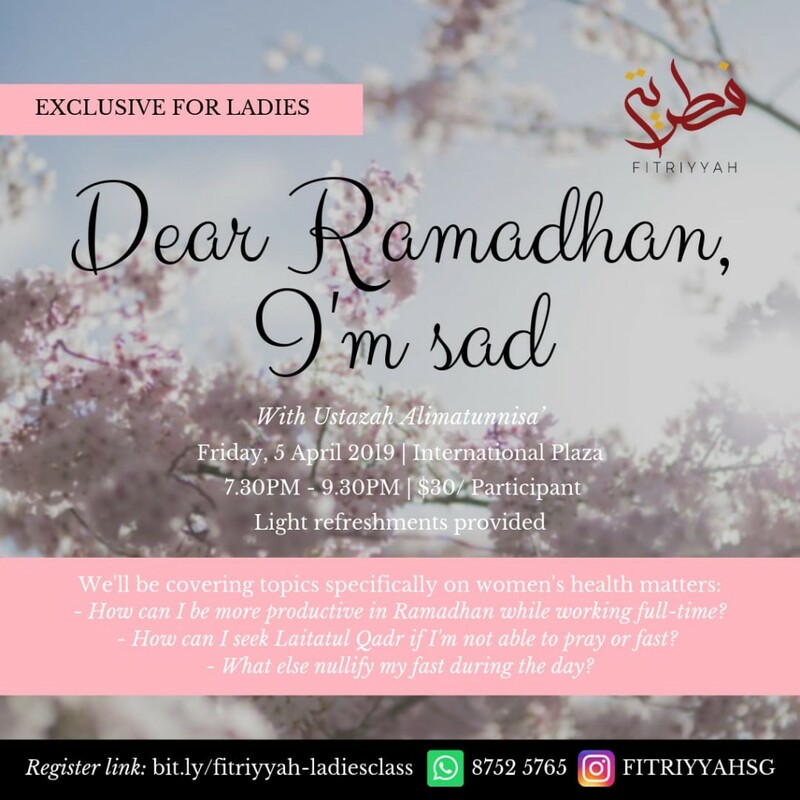 Register link: bit.ly/fitriyyah-ladiesclass OR click on our Instagram profile @fitriyyahsg & you'll receive an email from us in 2-3 working days regarding the payment process InsyaAllah.